Gum disease is a serious oral health condition that exists in countless people all around the planet. It’s also commonly known by the name of “periodontal disease.” If you have gum disease, you may notice a variety of symptoms. 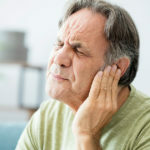 Examples of these symptoms are toothache, constant halitosis (unpleasant breath), tooth loss, mouth sores, gum tenderness, loose teeth, bleeding gums and gums that appear unusually red. If you believe that you may have gum disease for any reason, you should seek attention from a reputable dental professional as soon as possible. The sooner you get treatment, the better. That’s because cases of gum disease can advance and intensify. People who have gum disease in Boynton Beach, Florida don’t have to worry. Boynton Laser Dental Center is a trusted local practice that specializes in periodontics and periodontics treatment options. If you want reliable assistance from dental specialists who have extensive knowledge regarding tissue regeneration, gum grafting, cosmetic periodontal surgery, root planing, scaling and more, you can count on our office. Our staff members can also talk to you about Arestin. Arestin is a type of antibiotic that is suitable for patients who require root planing and scaling treatment. This antibiotic can destroy bacteria that may be behind your condition. Our scaling and root planing (abbreviated as “SRP”) treatment can make a great option for many patients in need of periodontal disease treatment. Scaling eliminates plaque and calculus connected to the surface of the teeth. It’s a treatment that zeroes in on the section under the gum line by the root. Dentists employ ultrasonic scaling tools to conduct this treatment. 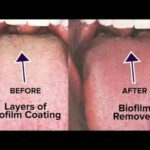 Root planing, on the other hand, aims to do away with surface dentin and cementum that are chock-full of undesirable organisms. These are tartar and toxins. When dentists conduct root planing treatments, they smooth out tooth roots. This activates the healing process. It also makes it a lot harder for bacteria to take over later on. If you have gum disease, scaling and root planing may be appropriate treatment options for you. These treatments can keep disease at bay. They can also often keep the teeth safe from potential loss. They can help mouths look fresh and attractive. They can even minimize bad breath triggered by the presence of bacteria and food remnants. Scaling and root planing treatments have helped countless gum disease sufferers. SRP can enhance gum and teeth health significantly in individuals who have the condition. Bacteria is responsible for gum disease in people. If you have the disease, a dental professional may suggest that you use Arestin. This medication consists of microspheres that are extremely small. They’re so small that people can’t actually see them. These microspheres are made up of minocycline hydrochloride, an antibiotic. They slowly emit the antibiotic with the passing of time. This action does away with bacteria and therefore encourages strengthened and more efficient gum healing. Boynton Laser Dental Center specializes in high-quality periodontics assistance in Boynton Beach. Our clinic offers patients many other choices in dental treatments as well. If you need laser dentistry, teeth whitening, cosmetic dentistry, restorative dentistry, TMJ (temporomandibular toint disorders) management or preventive dentistry in Boynton Beach, you can count on our hard-working team members. Our knowledge of periodontics is significant. We regularly give patients access to in-depth scaling and root planing treatments. If you want to learn more about Arestin, bruxism management, guided bone regeneration (GBR) or anything else that involves periodontics in any way, you can trust Boynton Laser Dental Center. Our practice is run by Dr. Harvey Shiffman. Dr. Shiffman attended the Georgetown University School of Dentistry. He’s been a dedicated and tireless South Florida dentist for several decades now. Countless patients in the area respect Dr. Shiffman’s dental expertise. They also respect his personalized assistance and “can-do” attitude. If you want to learn about Arestin and how it may be able to help you and your oral health, there’s no finer destination in Boynton Beach than Boynton Laser Dental Center. If you have any type of dental concern in Boynton Beach, Florida, get in contact with Boynton Laser Dental Center without a second of delay. We can provide you with the most in-depth dental attention in the area, hands down. Our staff members are all courteous, knowledgeable, patient and committed professionals. They all know a lot about the vast dental ream as well. It doesn’t matter if you’re searching for information about Arestin or if you need routine dental maintenance. Boynton Laser Dental Center is always here for you. Call our highly regarded practice as soon as you can to make an appointment.